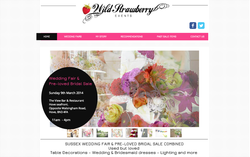 Below you will find listing for Wedding Suppliers that cover Sussex & Surrey such as Wedding Photographers in Sussex, Brighton Florists, Wedding Cars, Bridal Hairdressers, Wedding Videographers in Sussex, Wedding DJ's, Wedding Fairs, Wedding Chair Hire and much more to come ! If you are a supplier and would like to be listed on this page please contact us it's free and we only require a few links back ! 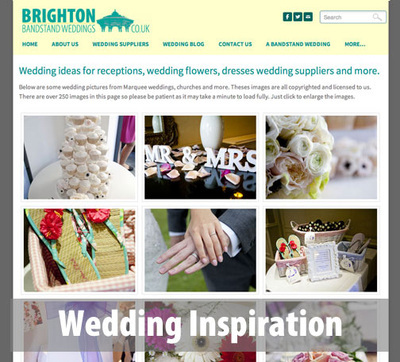 Reel Emotion-Creative & professional wedding videos in Brighton, Sussex and London. 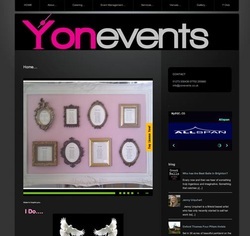 A Wedding Blog by a Talented Wedding Reception Dresser. 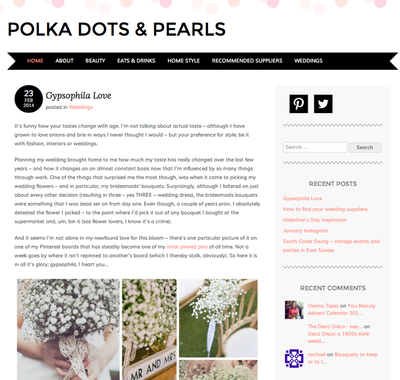 Ideas and pictures from a writer, editor and experienced daydreamer with inspiration from your home or wedding. Super cool a retro VW Camper hire company Buttercup Bus is based Croydon, on the Surrey and Kent border. The have a range of lovingly maintained, vintage VW campervans and beetles that would suit any wedding day. 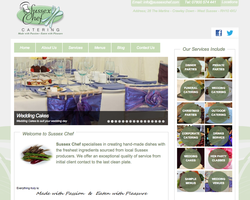 Sussex Chef Catering is a Sussex wedding supplier offer wedding catering in Sussex and Surrey. 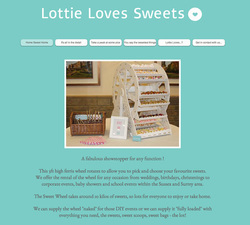 A family run business with over 15 years experience of catering for weddings. 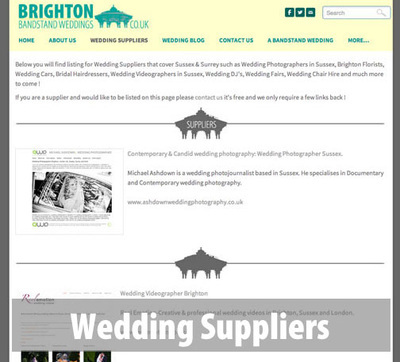 Affordable Wedding Photography Sussex-Wedding Photography Brighton. 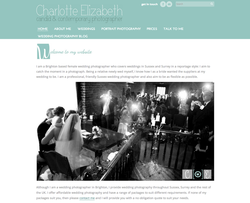 For those on a budget, Charlotte offers wedding photography coverage from 2 hours up to 8 hours. 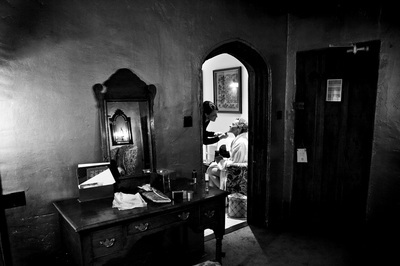 Her packages are perfect for those couples who only want minimal coverage of the day or midweek weddings. 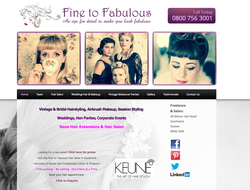 Vintage, Bridal & Special occassion Hair Styling in Sussex. 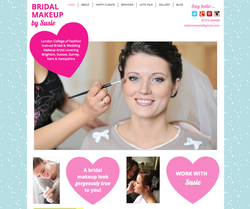 Make overs, Wedding Hair and Hen parties. 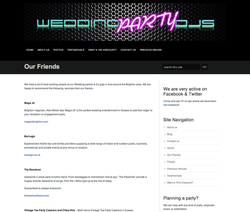 The Wedding Party DJs are Wedding reception party specialists from Brighton who provide a bespoke dance floor experience. Always prepared and committed to your special day. 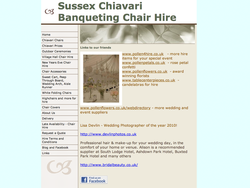 Wedding entertainment Sussex, Surrey & London. 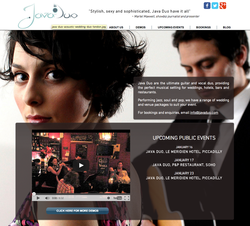 Java Duo are the ultimate guitar and vocal duo, providing the perfect musical setting for weddings, hotels, bars and restaurants. 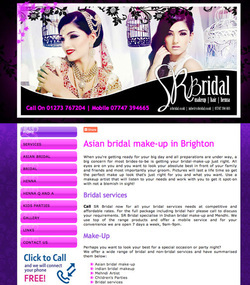 Please see SR Bridal's site for all your Sussex Bridal service needs, competitive and affordable rates. 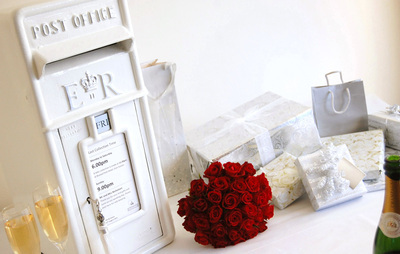 A unique opportunity to hire a genuine vintage Royal Mail postbox for your wedding reception. Keep your cards and wedding gifts safe in a beautiful and stylish way! 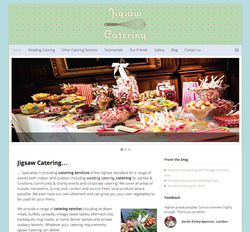 Jigsaw catering have over 10 years of experience in providing tasty food for wedding receptions. Supplying the whole day from wedding breakfasts & afternoon tea’s to buffets & evening cheeseboards. 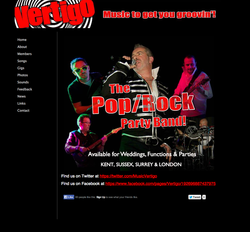 Vertigo are a Pop/Rock Wedding Party Band covering Sussex who play an eclectic mix of songs covering many decades. Songs we play at wedding receptions from Eighties artists such as Duran Duran, Spandau Ballet & Madness are mixed in with modern chart material and classics from the Sixties & Seventies! 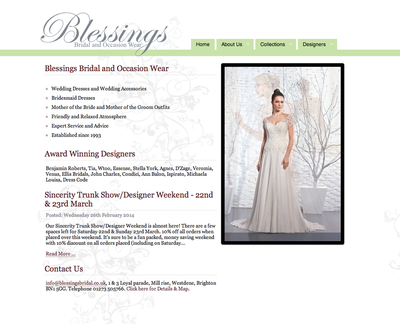 Blessings Bridal is a family business established in1993 it is considered to be one of the most recognised and respected stockist in the south-east of England. 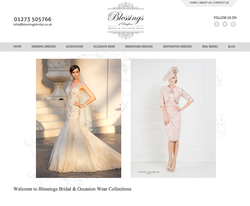 This Bridal Shop in Brighton has a wonderful collection of wedding dresses that has been carefully selected from international designers to provide for your desired style and budget. Selected accessories ensure each 'look' is enhanced and complimented. 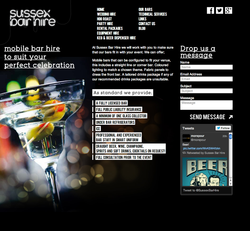 Mobile bar that can be hired for your wedding whether it be a Marquee wedding a Barn Wedding or any other wedding venue where you need to provide bar faciltiles seperate to your wedding venue. 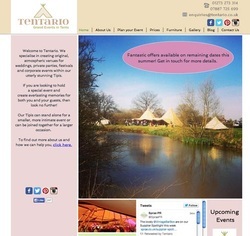 Tentario specialise in creating original, atmospheric venues for weddings within their utterly stunning Tipis. A family run business with almost 10 years' experience in the luxury tent industry, they have the knack for knowing what works and what doesn't and will help you through each stage of the process. 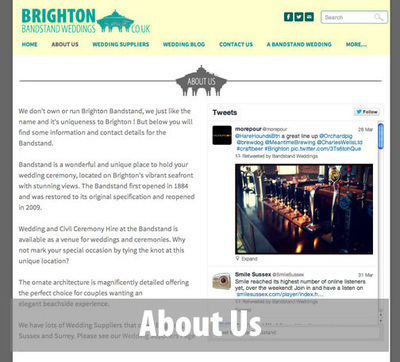 myhotel is a truly beautiful Hotel in Brighton for wedding guests or a Hen/Stag group. The bedrooms offer guests a fresh and contemporary environment and it is a amazing hotel to stay in. 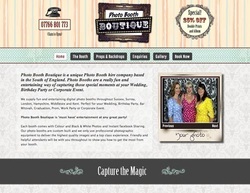 Photo Booth Boutique supply digital photo booths for fun and entertainment at Weddings, Birthday Parties, Christmas Parties or Corporate Events including brand launches throughout Brighton, Sussex and the U.K.
Strobe are a six-piece wedding band in Sussex, made up of young, professional and enthusiastic musicians. The band works closely with clients to ensure set lists are tailored to meet their requirements, and with an extensive repertoire spanning from the 60s right up to the present day,they can cater to a huge range of ages and musical tastes. 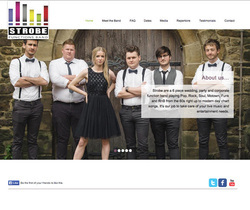 Well- organised and energetic, Strobe never fail to put on a great show and are a popular choice of entertainment for weddings across Sussex and the South East. 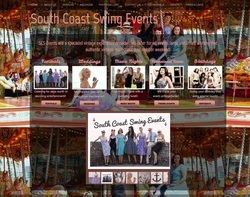 Vintage & Bridal Hairstyling, Airbrush Makeup services, Session Styling Weddings, Hen Parties, Corporate Events, Nano Hair Extensions & Hair Salon. Wedding dresses supplied from bridal designers such as the award winning Ian Stuart, Amanda Wyatt, Sophia Tolli, Chanticleer, Belle and Bunty, LM by Lusan Mandongus, Enzoani Beautiful/Timeless and LouLou Bride. With stylish accessories from Rainbow Shoes, Joyce Jackson Veils, Emmerling and Miranda Templeton. 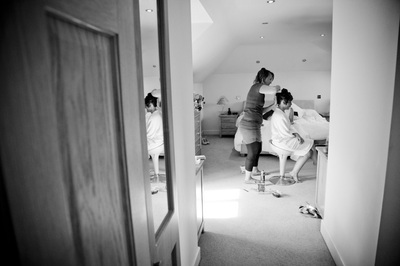 A Sussex Wedding photographers shares a few images. 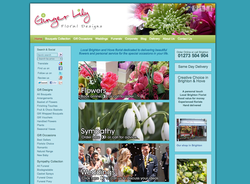 Q&A with a Brighton Wedding Florist. 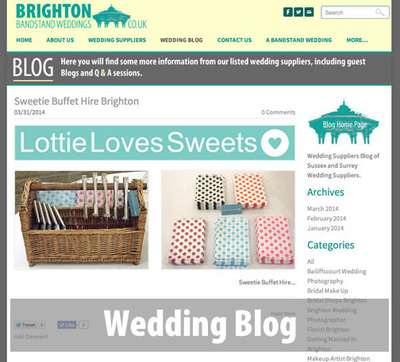 Q&A with a Brighton Wedding Photographer. 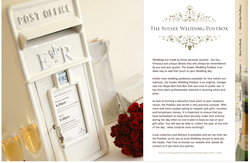 Beautiful Wedding Post Box for hire in Sussex.